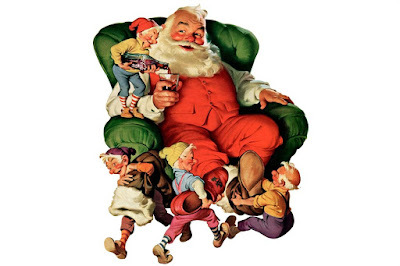 Last year, Finland inducted Joulupukki (aka Santa Claus) to their National Inventory of Living Heritage. The modern Joulupukki looks pretty much like the version of Santa Claus popularized by the advertising paintings produced for Coca Cola by Haddon Sundblom. However, there was a time when Joulupukki bore the literal appearance of his name—Yule Goat, and was said to have been an actual goat, or some kind of weregoat. 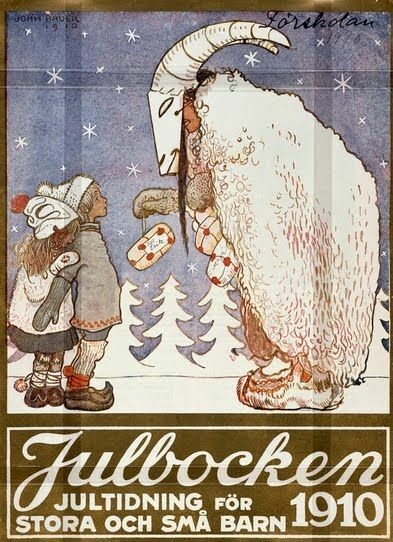 The concept of [were]goats bearing gifts is said to have come from the merging of Joulupukki with Nuuttipukki. Nuuttipukkit were Krampus-like figures who would make the rounds at the end of the Yuletide festivities. Some say they represent spirits to be appeased, while others say they drive off spirits who would otherwise overstay their welcome during the Yule. 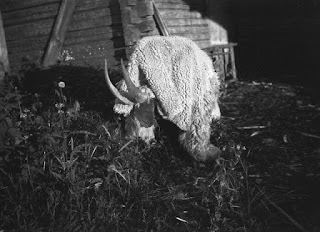 Anyway, the Yule Goat is an appropriate subject for this time of year, but the post is really about weregoats (of which the Yule Goat is the closest thing in mythology that I could find). There is only one weregoat figure that I am aware of. It comes from the Judges Guild City State Miniatures line. I'm not sure if there are any stats for this creature in any of the Judges Guild publications, but current homebrew D&D stats found on the internet seem to treat weregoats no differently from satyrs. The Judges Guild weregoat happens to be one of my grail miniatures, but unfortunately Eisenwerk miniatures are near impossible to find. Thus I decided to make do with a proxy from the Ganesha Games Miniatures line produced by Alternative Armies. 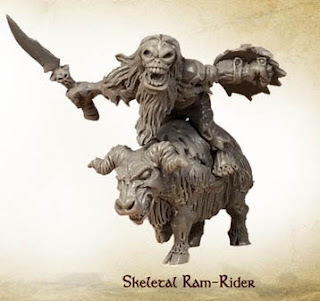 This particular miniature is the mount from the Skeleton Undead Ram Rider (Hammer and Forge UDD007). The creature is supposed to be a ram and not a goat, but the face is rather bovine, so it doesn't really look like either. I'll probably modify the horns to point backwards so that it is more goat-like, but I'm not sure there is too much else I can do about the head. The giant walrus encountered by Sinbad in the far northern land of Hyperborea in the 1977 film Sinbad and the Eye of the Tiger was another creature animated by Ray Harryhausen. 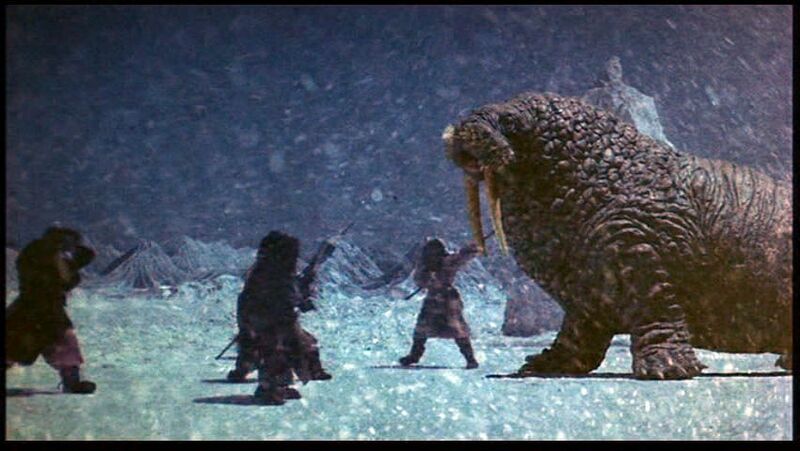 A model was sold by X-Plus as part of their Ray Harryhausen Film Library line of resin figures. 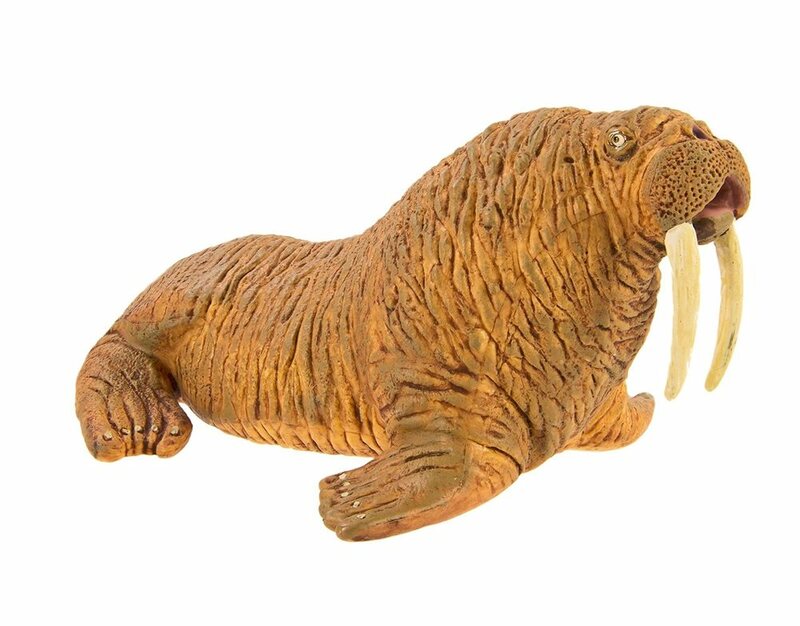 The model consists of the walrus and a separate base with two figures that are roughly 1/72 scale attached to it. I like the model, but I'd be hesitant about using it for gaming because it is made of polystone resin. If you need something for gaming, plastic figures from Safari Ltd or Schleich would be a better choice. These figures are probably larger than the X-Plus model, but there's always a bit of leeway with movie monsters, since their relative size to humans is not always consistent on film. 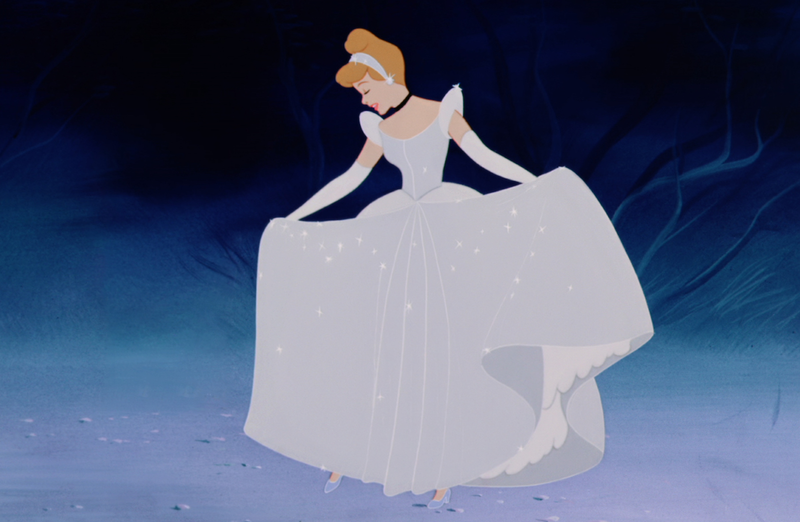 The most iconic Disney Princess outfit is probably the one from Cinderella. The costume is ostensibly based on 18th century European gowns, but fashion mavens are able to dissect the features as surely as any Napoleonic enthusiast scrutinizing facings and bricole. Surprisingly enough, there is a miniature that is very reminiscent of Cinderella in this ballgown that can pass as 1/72 scale. The miniature is molded in pink plastic and the dress is not exactly the one worn by Cinderella, but the pose is so similar that I think it was modeled after a ceiling fan pull chain ornament for some sort of licensed Disney product (though I could be completely wrong). I don't remember where I got it, but I've been trying to see if I could find some more to paint up in different colors. 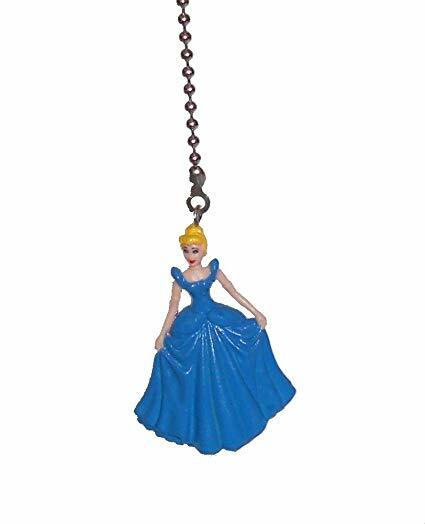 The Disney pull chain decorations seem to be fairly large, so they are of no use, while this little figure seems to be something that is so obscure I'll probably never find any more of them. The Hot Wheels Warthog was first produced in 2017 as part of the premium Replica Entertainment Series, along with a version for the more budget conscious HW Screen Time Series. There are two versions of the Replica Entertainment Warthog. One is a standard olive vehicle with tinted windscreen, while the other is an Urban Warthog with tan and brown camouflage. These models have a metal chassis and a metal body, making them much heavier than the Screen Time versions. They also have larger rubber wheels which give them more ground clearance. 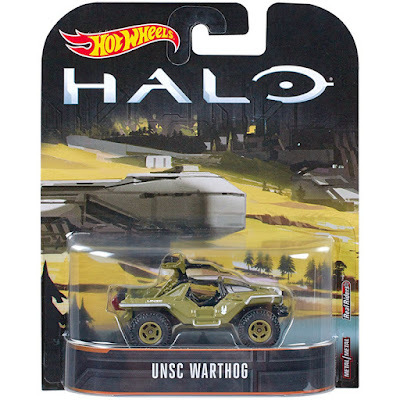 There are also two versions of the Screen Time Warthogs. One comes in olive with a clear windscreen, and the other is a black Oni Warthog. These models have a metal body on a plastic chassis, and plastic wheels. The Hot Wheels vehicle is smaller and less detailed than the Micro Ops Warthog. The M41 machine gun mounted on the Hot Wheels Warthog is particularly disappointing. 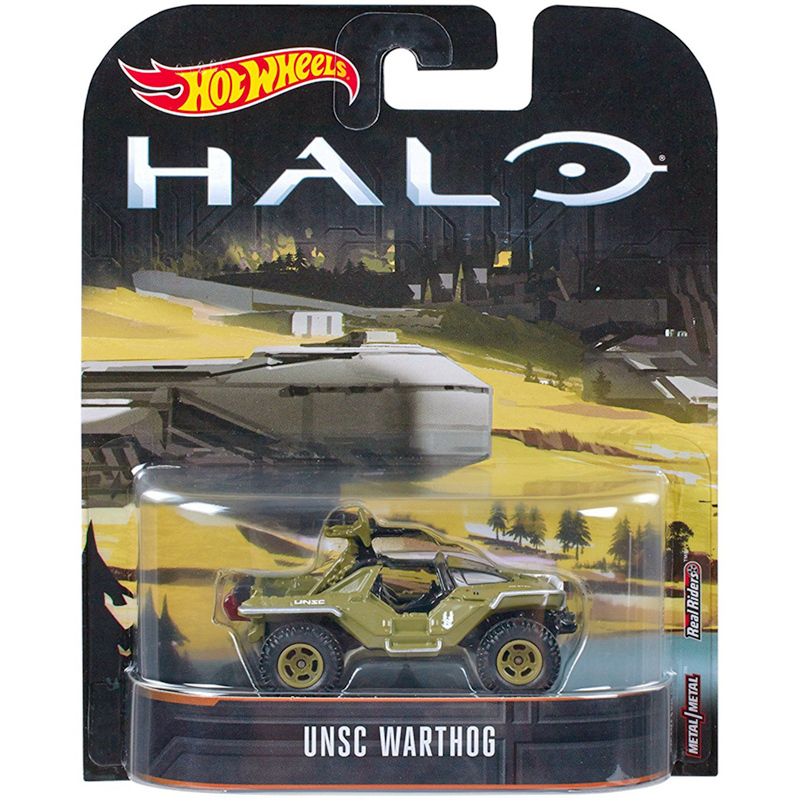 However, given that the Micro Ops Warthog is no longer in production and selling for crazy prices on eBay, the Hot Wheels vehicle is really the only option for an affordable Warthog. The Hot Wheels Warthog is as big as a 1/72 Matchbox Hummer (although the wheelbase is shorter), making the size similar to that of the real life Warthog commissioned by 343i back in 2012. In any event, I prefer the Warthog to be scaled for normal sized humans as opposed to 7' Übermensch, since I'm repurposing them for my own games as opposed to using them for some recreation of Halo. Yet another company is producing models using the 4D model name. I don't think it is the same company (Hehexing, 合和兴) that made the S-300PMU that I wrote about in 2015, but it's often difficult to figure out the brand names of these type of products from China. The packaging says 4D 拼装模型 (4D Pinzhuang Moxing; 4D Assembly Model), but I've seen the brand indicated elsewhere as DIY or 拼装 (Pinzhuang). 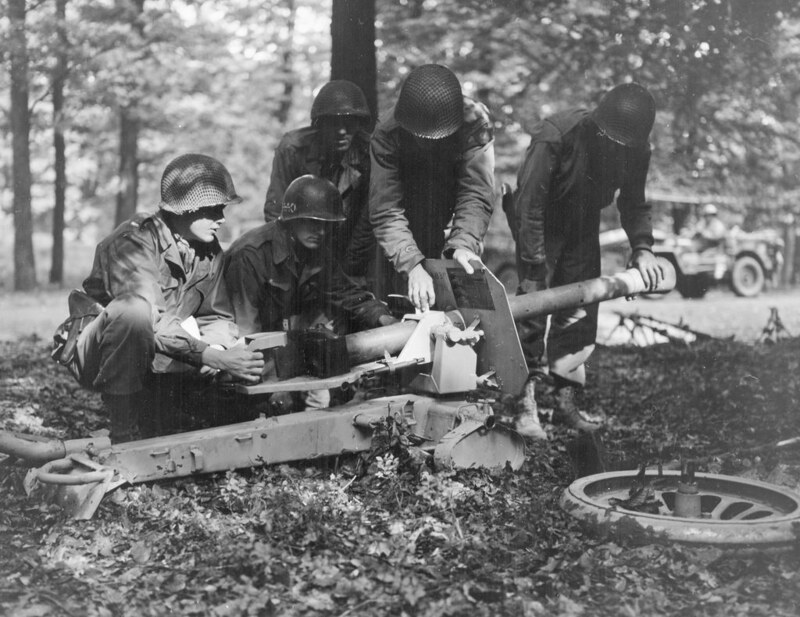 The models produced by the company include a Kfz. 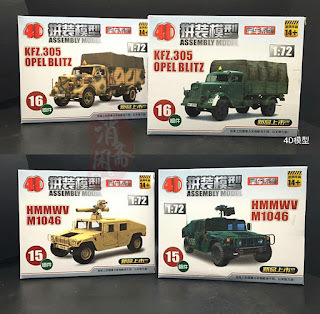 305 Opel Blitz and a HMMWV M1046. Each model is available in either dark green or tan plastic. 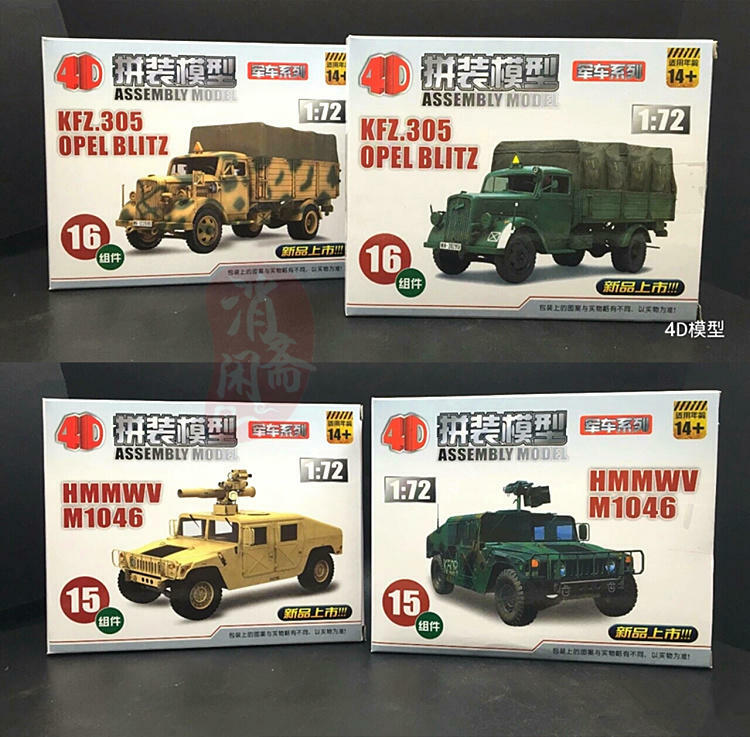 There is also a HMMWV utility vehicle in the series, though I've only seen it available on Taobao so far. Assembly is quick, and can be completed in a couple of minutes. The models include a couple of small steel weights to add some heft. I believe that the plastic is ABS, but the parts fit very tightly so no glue is required for assembly. The models are very toy-like due to the simplified details and shiny plastic. The M1046 is rather unique because I don't think I've ever seen a model of a HMMWV with the Red Dot air conditioning unit on the back. As far as scale goes, the 4D Kfz. 305 seems to be undersized when compared to the Hobby Master Opel Blitz. The cab of the 4D model is a bit smaller than the one for the Hobby Master model, but it is the bed of the truck that really makes their difference in size apparent. The 4D models M1046 seems to be a bit larger than the Dragon HMMWV. 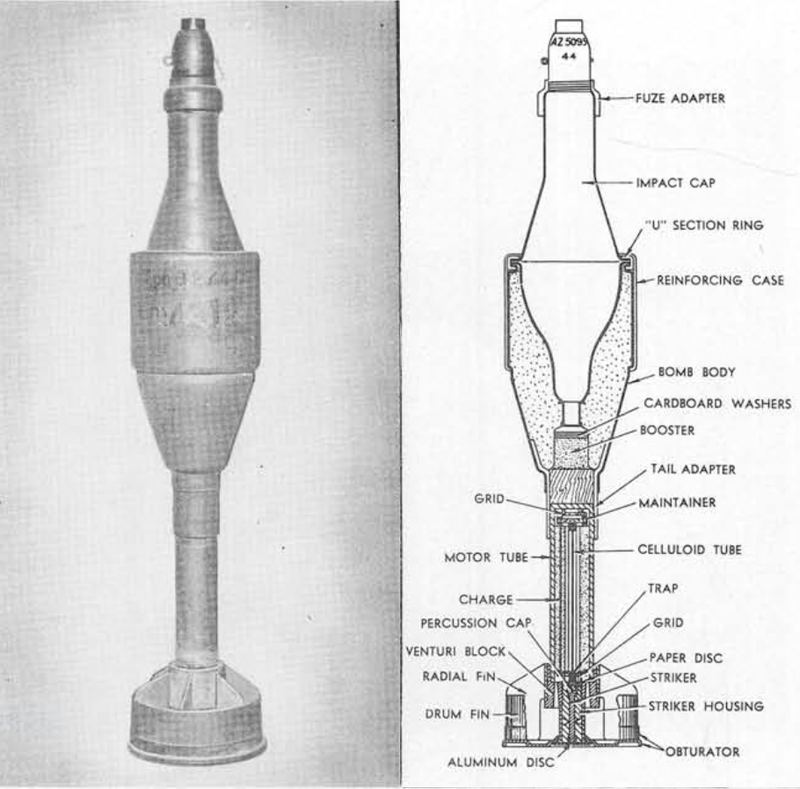 However, the M1046 sits ~1mm closer to the ground because the suspension is not as high as on the Dragon model. 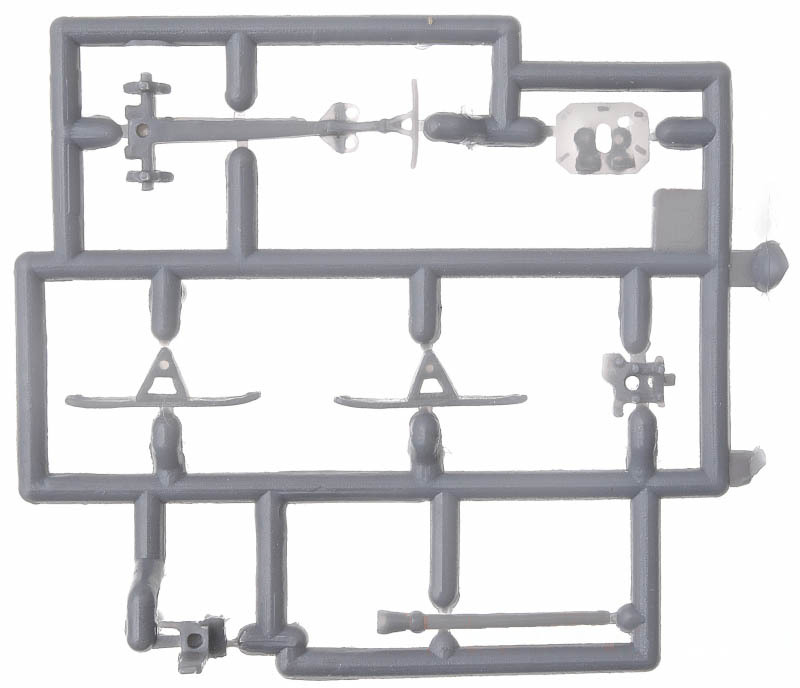 The tan model does not seem to have the tube of the TOW missile launcher hollowed out like the green model. 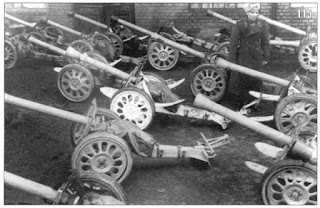 The 4D Kfz. 305 and M1046 are pretty much toys, and of limited use to modelers since there are plenty of better models of both subjects in 1/72 scale. They seem well suited for wargaming though, being easy to assemble and quite sturdy. I'm sure they would look quite good with a little paint and weathering. Kumonga (クモンガ) is a kaiju from the Godzilla franchise known to English-speaking audiences as Spiga, and inspiration for the Arduin creature of that later name. GIANT ARMORED SPIDERS. 50% MAGIC RESISTANT VS. 11TH LEVEL MAGE SPELLS. ITS WEB HAS A RANGE OF THIRTY FEET. IT CAN SPIT UP TO SIXTY FEET. THE LARGER ONES ARE ARMOR CLASS 2. SUGGESTED BY THE FILM "GODZILLA'S REVENGE". The original spider is described as being 45m in height and 45m in length. The more recent version is described as 35m in height and 60m in length. Hargrave is said to have envisioned the spiga as having a body almost 50' long, but since there is a range of HD for these spiders, I imagine that there are others that are a lot smaller. SPIGA: HD: 5+1 to 24+1; AC: 2 to 2+5; Speed: 16" to 36"; Dext: 18 to 24; Numbers: 1 to 4; % Liar: 95%; Attacks: 2 leg hits for 1-4 to 3-36, 1 bite for 1-6 to 4-48, plus a paralyzing venom that is 1/2 of the Spiga's HD or 1 web (a 25' to 90' long by 15' to 45' wide cone). The web will hold anything caught in it equal to its own HD plus 50%. Looks: Metallic silver, gold, or blue giant armored spiders. Notes: They are 50% magik resistant, 100% lightning, fire, poison/venom, and paralysis proof. Cold does 50% more damage. They are cruel and intelligent and hate humans. 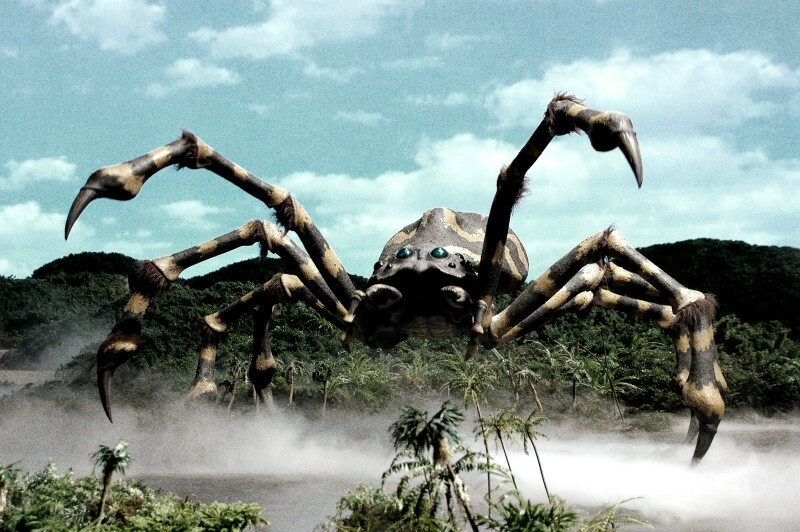 I chose plastic Warhammer Giant Spiders from the Forest Goblin Spider Rider set to represent my spiga (which I guess might fall in the 5-8 HD category). There are a total of eight spiders in the kit. The eight spiders can be sorted into four varieties based primarily on differences between their abdominal carapaces. Three of the four varieties look like proper giant spiders, but I felt the fourth with the skull pattern on the back was a bit hokey (says the person painting garish metallic colored spiders). The models are single piece, so no assembly is required, but I modified some of them so that their forelegs were in different positions. I might modify the rear legs on some of the spiders later as well. Spiga poised to attack or cast spells. Overall, I like the spiders. The legs do not look overly thick like with many spider models, though having all the legs touching the ground for stability would have been nice. The underside of the models are poorly represented, with a blocky sternum and hollow abdomen, but most people won't view them from that angle anyway. I'm not sure if the metallic colors can be made to look more "realistic" given how unnatural they are in the first place, but I suppose an option could have been to use iridescent colors. Still, I am fine with being literal and taking Hargrave's description at face value. 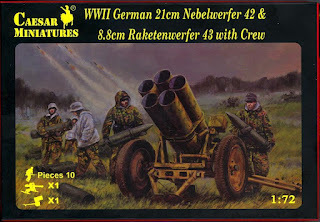 The Caesar 21cm Nebelwerfer 42 kit comes with an interesting little model of the 8.8cm Raketenwerfer 43 (which is not shown on the box art). 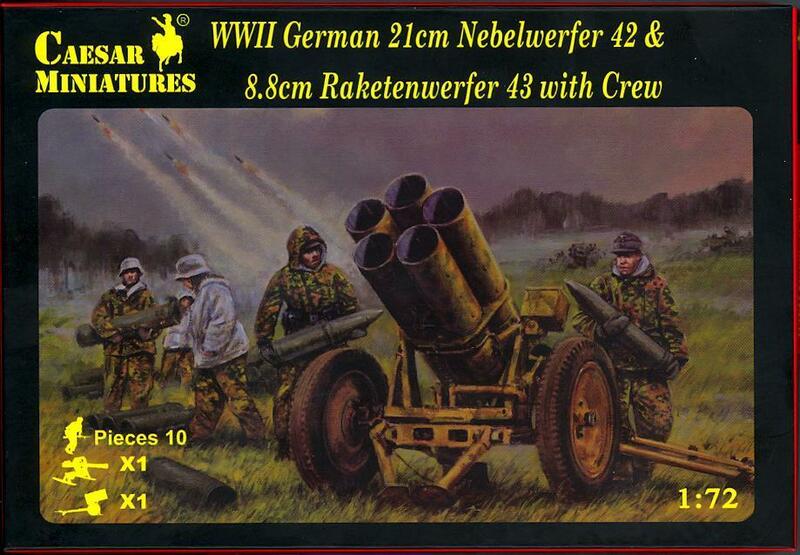 I could not find any real life pictures of a Raketenwerfer with skis like in the kit, but there are many toys and models of this specific type of rocket launcher. Raketenwerfer without wheels (or skis). 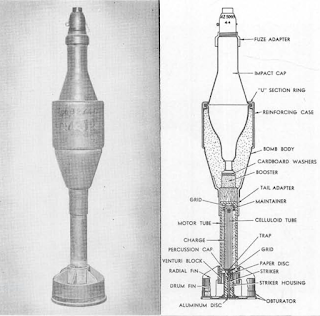 This anti-tank weapon fired an 8.8cm fin stabilized rocket propelled HEAT grenade, and supposedly had such excellent performance that the OKH disallowed awarding a Tank Destruction Badge if it was used to successfully knock out a tank. The model has just seven pieces, and could be considered a very easy build except for one small issue – the model is made from polyethylene which is almost impossible to glue together. There are a couple of methods for gluing polyethylene parts together. One method involves heat treating the plastic with a blowtorch, which I don't think will work for plastic models. The other is to treat the parts with a primer which will create a surface that CA glue will bond with. 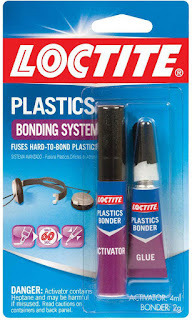 The most commonly available glue for polyethylene is the Loctite Plastics Bonding System, which uses the priming method. The problem with this product however, is that the activator is applied with a pen-like applicator, which does not work well with small parts. 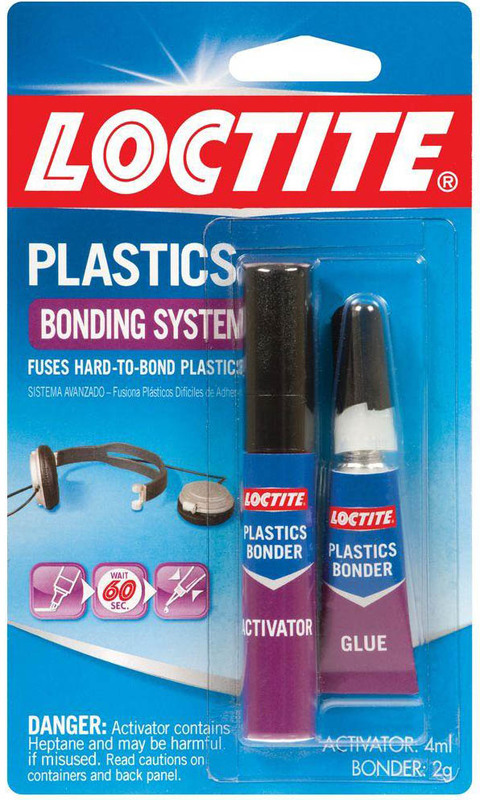 The activator can be purchased separately in liquid form as Loctite 770, but it costs about $10 an oz. From what I can tell however, it seems to just be n-Heptane which costs around $2 an oz. for the analytical grade stuff. You can also buy Bestine Solvent and Thinner which I believe is also n-Heptane for $1 an oz. (the route I went with). I dipped the parts in Bestine, shook off the excess onto a disposable paper towel, and allowed the parts to dry for a minimum of 1 minute. After that, I just applied glue, and assembled the parts in the usual manner. A test bond that I did with some pieces of the sprue from the model held with Bestine treatment, but the bond didn't have much strength. The control with no Bestine treatment didn't bond at all. I wanted to make the test with the glue from the Plastics Bonding System, but my glue was all dried up, so I had to make do with Loctite Professional Liquid instead. I'm not sure if this made a difference, so maybe I'll do some more tests in the future. The model itself seems to be holding up okay with normal handling, though I'm not sure how well it would fare with being used for gaming. Important: If you plan on using Bestine or n-Heptane, Read the MSDS, be sure to work in a well ventilated area, and follow all safety procedures for handling dangerous chemicals. Heptane is flammable, a skin irritant, and potentially toxic if inhaled or ingested.